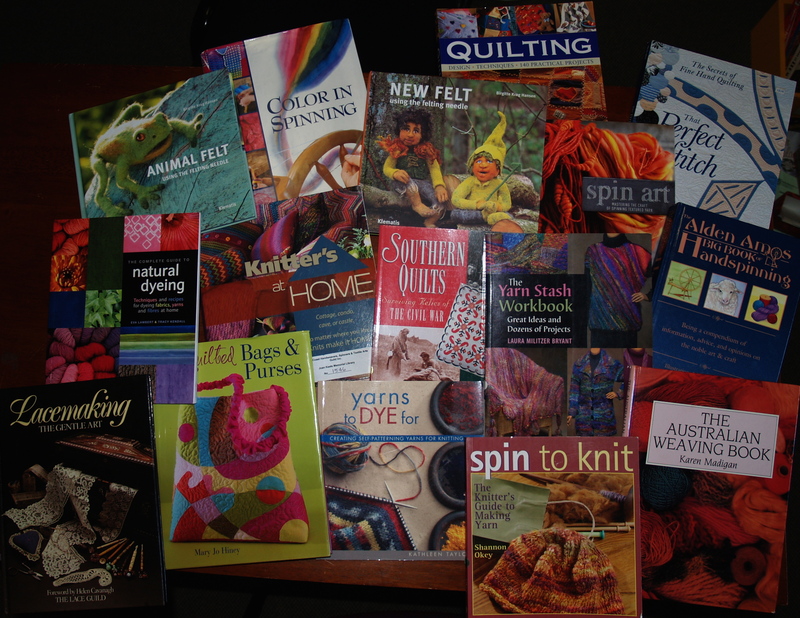 We have quite a good collection of craft books in our library and subscriptions to many magazines. We also have a selection of instructional DVDs. Our main categories are Spinning, Knitting and Crochet, Quilting, Dyeing, Weaving and a miscellaneous section with books on felting, embroidery and plenty of other crafts. All members may borrow from the library, and the library is open whenever the cottage is open. For an up to date catalogue of all of our library books click here (requires Microsoft Excel).